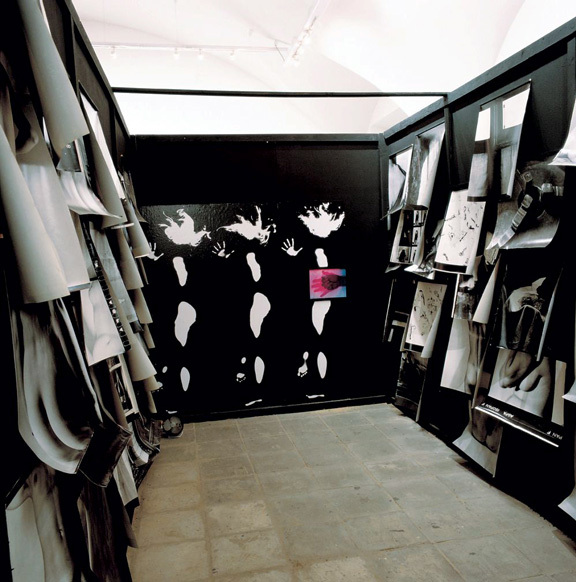 Artists: Zbigniew Dłubak, Maurycy Gomulicki, Edward Hartwig, Mariusz Hermanowicz, Johnny Jensen, Andrzej Jórczak, Łódź Kaliska, Tomasz Komorowski, Bogdan Konopka, Andrzej Lachowicz, Jerzy Lewczyński, Wanda Michalak, Natalia LL, Luis Paredes, Małgorzata Potocka, Józef Robakowski, Tadeusz Rolke, Jerzy Sadowski, Piotr Trzebiński, Tavate, Joanna Zastróżna. 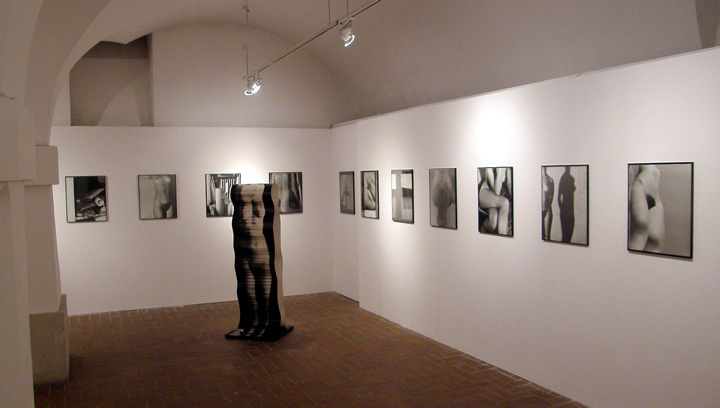 Wystawa "FOTOGRAFIA - Fragment kolekcji CSW – Zamek Ujazdowski", lato 2012. Prace Zbigniewa Dłubaka z cyklu "IKONOSFERA" i fotoobiekt "ONONA". Existing for many years and ever still growing, the collection of the Centre for Contemporary Art Ujazdowski Castle in Warsaw has already been presented on a number of occasions in different versions and constellations. This time we would like to show several dozens of works, all of them based on photography. Particularly nowadays, with technological possibilities of visual arts so extended, photography still remains an important and extremely popular medium used by artists in their multimedia installations. In order to reminisce about its timeless values we decided to reach out for the collections of the Centre for Contemporary Art in general and one of its selected parts, the so-called Small Gallery Archive, which for several years served in the Centre as a project room for presenting photos from a broad perspective. The Centre collection of photography is rather diversified both thematically and contents-wise. Therefore, we wanted to choose several dozens of works that could all be placed under one common theme, i.e. the body, corporeality and everything that can be connected with it. It turns out that photography has always explored this topic, only placing its accents and domineering trends in a rather unpredictable way. As soon as in the 1970s even the avant-garde artists looked into traditional, classic forms, as exemplified by quite unknown acts by Andrzej Jórczak, a slightly forgotten artist that is now being rediscovered and appreciated. At the beginning of the 1990s the Centre witnessed a big event, i.e. the reconstruction of the photographic environment "Iconosphere" and photographic object "OnOna" by Zbigniew Dłubak. We are showing the author’s original photos that the installation was made of. The both works are the first sign of a certain breakthrough in photography, in which Dłubak, a theoretician and for many years the editor of the FOTOGRAFIA magazine, played an extremely important role. Tadeusz Rolke - Ślady, cibachrom, lata 70. Other examples of great “classics” in this area include as follows: Edward Hartwig, Jerzy Lewczyński, Józef Robakowski, Natalia LL, Andrzej Lachowicz or Tadeusz Rolke. The motif of the body, physiology or social context was afterwards present in photos of many artists for generations to come. Differently explored with the use of more modern media (e.g. 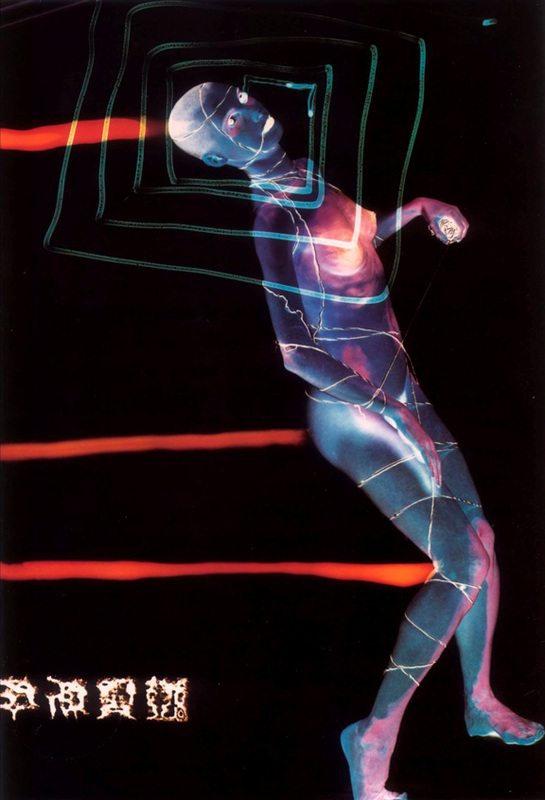 interesting "Cibachromes" by Piotr Trzebiński, early works by Maurycy Gomulicki, colourful photomontages and lightboxes by Joanna Zastróżna), the never passing topic of human body has been reinterpreted by many artists. Yet another approach was adopted by the Łódź Kaliska artists. 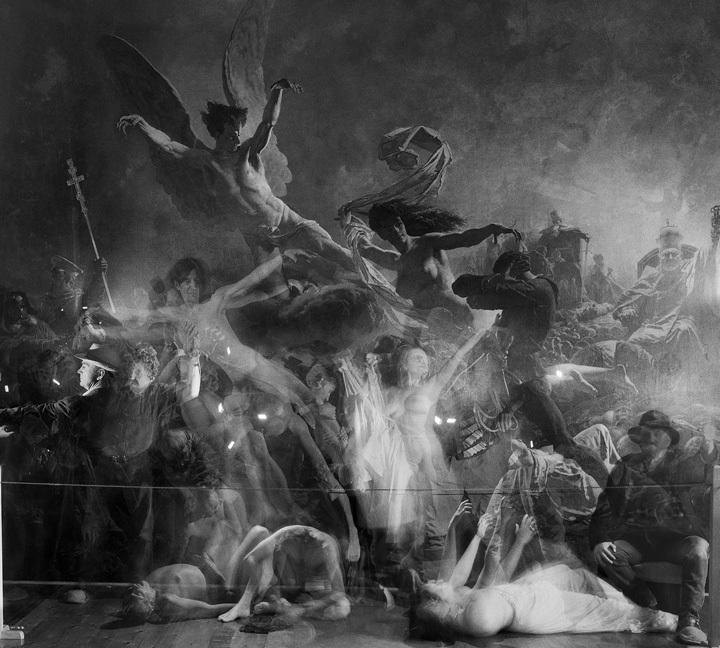 Their pro- and antifeminist provocations, and particularly their multi-person representations of characters staged in a way that reflected great, immortal paintings ("The Battle of Grunwald" by Jan Matejko, "The Triumph of Freedom" by M. Zichy) constitute a perfect example of an artistic challenge taken up in form of unconventional photography. Muzeum M. Zichy'ego, Zala, Węgry, 17 października 1999 r. wydruk, papier. And one more thing: it is worth to pay attention to the variety and diversity of technical means and rich photographic form. Next to classic bromine techniques you will be able to see digitally printed photos obtained in this way several years ago, nowadays extremely rarely seen Cibachromes or colourful copies which have not lost much of their colour-based attractiveness even though they are nearly 40 years old. 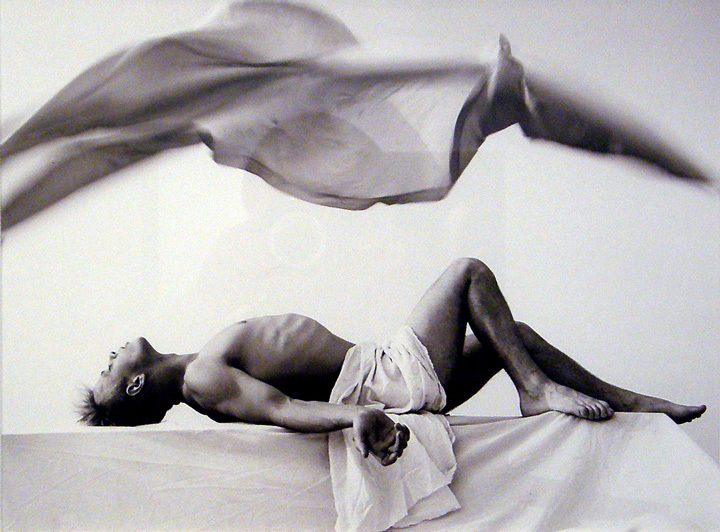 Photography is currently one of the most vividly and widely accepted area of contemporary art. It would be hard to imagine today’s artistic activity without reaching for its never-ending possibilities. 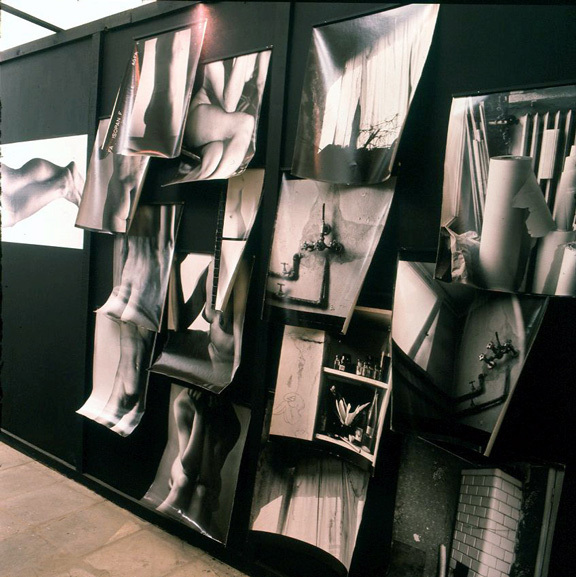 May this exhibition from the collection of the Centre for Contemporary Art Ujazdowski Castle maintain and secure these obvious observations, as well as also remind us and preserve the values that contemporary photography has brought into art. Natalia LL- "Sztuka postkonsumpcyjna", 1975. Zbigniew Dłubak "Ikonosfera" (rekonstrukcja z 1992 roku w CSW, fot. Mariusz Michalski & Barbara Wójcik / CSW).